Edgy fashion and high-power glam are the essential elements behind the Fashion del Mar Fashion party. And throwing a party is what EBM do best! 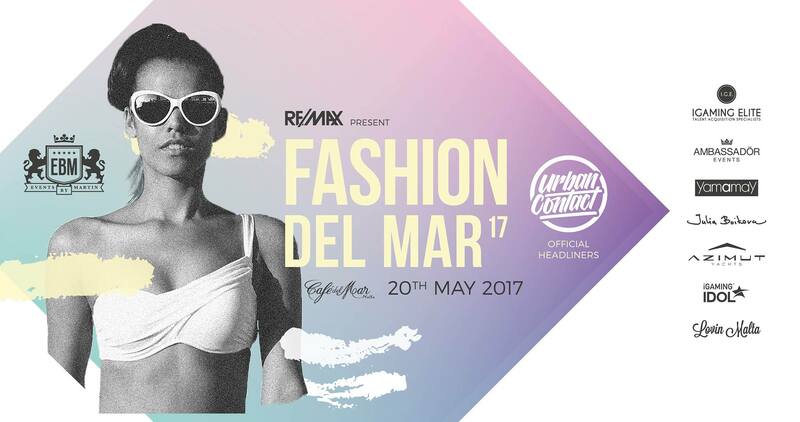 For the fourth consecutive year, they are launching Fashion del Mar, their much-anticipated and ever more popular fashion event. A cool combination of bang on trend fashion, music and fun, it is the ultimate in high-octane sophistication and goes beyond every fashionista’s dream party. Internationally renowned beachwear and lingerie brand, Yamamay is to launch its latest collection on the Fashion Del Mar catwalk on May 20. Known for its juicy and jaw-dropping beachwear designs, this season’s collection is inspired by the magical and bewitching atmosphere of the Emirate of Abu Dhabi, a fascinating land abounding in mysterious charm, where wild nature converges with landscapes of a thousand hues. Showcased against the stunning backdrop of Café Del Mar and modelled by Malta’s most gorgeous, the collection will convey the ultimate goal of its creation – sophistication, femininity and sensuality. And in true Fashion Del Mar tradition, it promises to be another wild, no holds barred all-sensory experience!